Gnocchi for Navratri Fasting –Small, soft dumplings made with Rajgiri flour/Amaranth Flour and boiled potatoes. 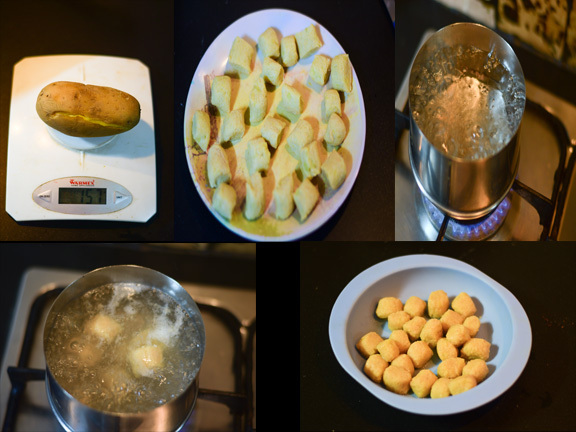 Dough of boiled potatoes and amaranth flour is made and small pieces are cut to make dumplings. This is a gluten free and egg free recipe. You can even make it vegan, by substituting the sauce. Am so happy I tried this recipe. I have been craving to eat gnocchi. But as Navratri is on and we are on no onion, no garlic and most certainly no egg and no meat diet, it looked a little far from real to have it.But when you can resist, then you experiment. So did i. And the result was more than satisfactory. I would rather say it was a Delight! During fasting, we do not consume all-purpose flour or whole wheat flour. 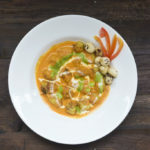 Since only the gluten free flours such as buckwheat, water chestnut and amaranth flour is allowed, I had little option but to try gnocchi with either of the three. Yes you can also make these with Samak rice flour. But since I only had amaranth in my pantry, I tried these soft potato Gnocchi with amaranth flour. Since this flour is gluten free and this recipe is egg free so the binding happens with the starch of the potato. Different varieties of potatoes behave differently and hence you may have to add or reduce the amount of flour by a little difference. The trick is just that the dough should not be too sticky to be rolled. 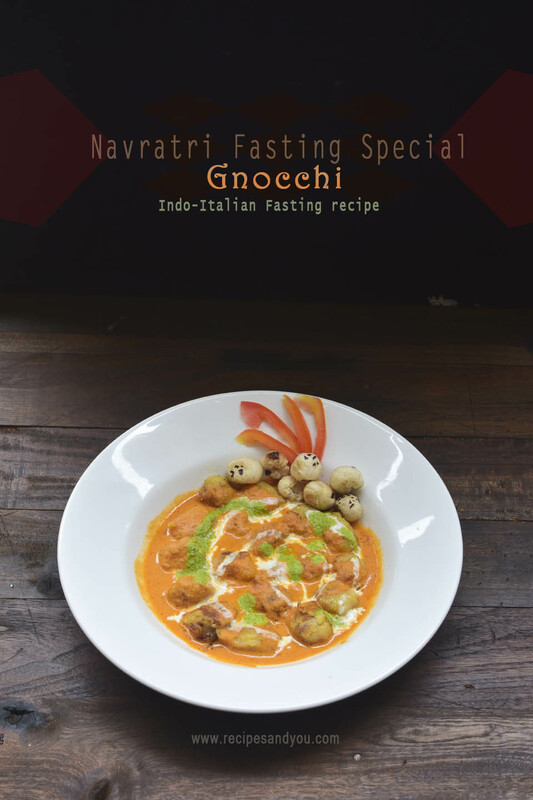 Gnocchi for Navratri Fasting –Small, soft dumplings made with Rajgiri flour/Amaranth Flour and boiled potatoes. 1 green chilli add more if you prefer hotter. Take 1 boiled potato. You may even use a steamed potato for better results. 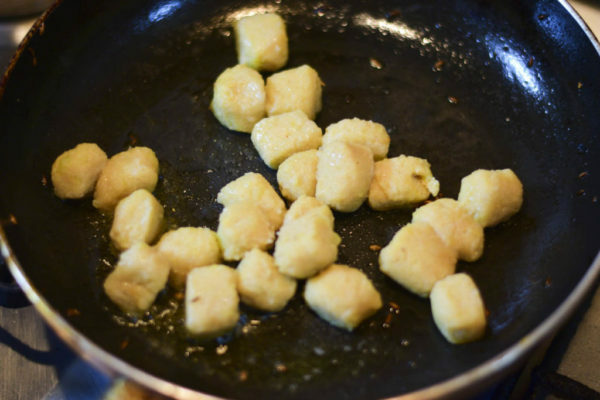 If you take a pressure cooked potato, make sure you do not overcook or excess water will lead to excess flour and you may not get soft gnocchi. Take freshly boiled potato for best results. Mash the potato with a fork and then mix to break any lumps with your hands. In a pan, take the mashed potato and start adding the flour gradually. The amount of flour needed may slightly vary, as it depends on the moisture content of your potato. Keep mixing the flour and stop when the potato mix stops sticking on your hands. This will be 7 tbsps. approx.., one tbsp. less or more is possible depending on the moisture content of your flour. Add salt and black pepper and mix well. Remember you just have to bring it together and not knead it like a tortilla flour.Just bring it nicely together and see that the dough is not too sticky for rolling. Now, sprinkle some flour on the surface and roll it like a rope .Then cut equal size pillow like pieces. Boil 3 cups water in a sauce pan .Add salt and bring to boil. Now, start putting gnocchi one by one. Do it in batches to avoid sticking. Within minutes they will start floating on top. Now take them out on a plate to cool. Save the water you boiled and keep it aside. We will need a little of this for cooking the sauce. 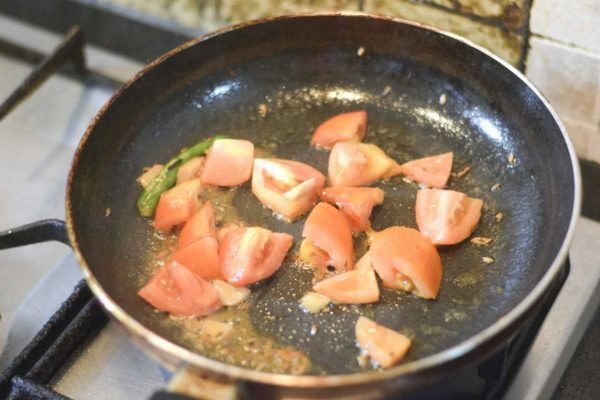 Chop the tomatoes, green chilli and ginger. Heat a pan and add clarified butter. Add cumin seeds. Let them splutter and then add the tomatoes, green chili and ginger to the pan.Pan-roast them on high flame till slightly brown on all sides. Transfer this to the mixer. Add 1 tbsp. 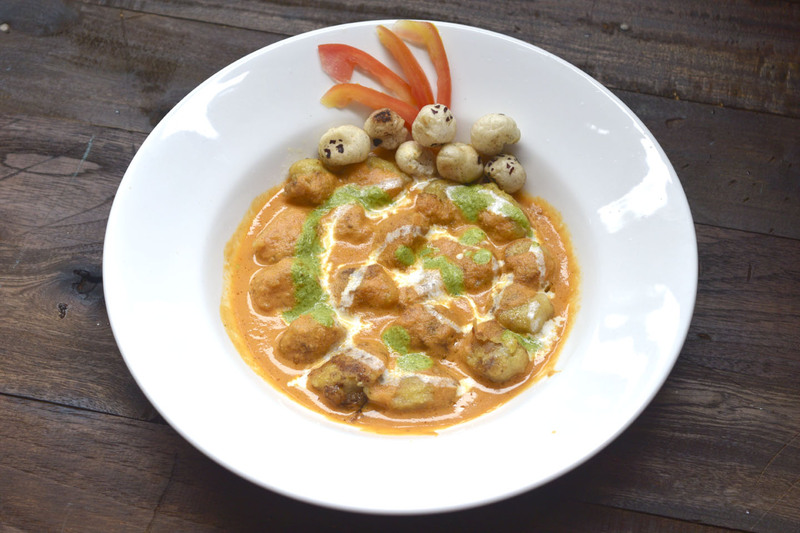 of gnocchi water and yogurt and grind to a fine paste.Sieve the pureed sauce and Keep aside. In the same pan, heat 2 tbsp. clarified butter/ghee. Add the gnocchi on high flame quickly. Turn them by rotating the pan. Cook them till slightly brown on all sides. Take them out on a serving plate. In the pan now pour the pureed sauce and add a little gnocchi water. Cook till one boil. 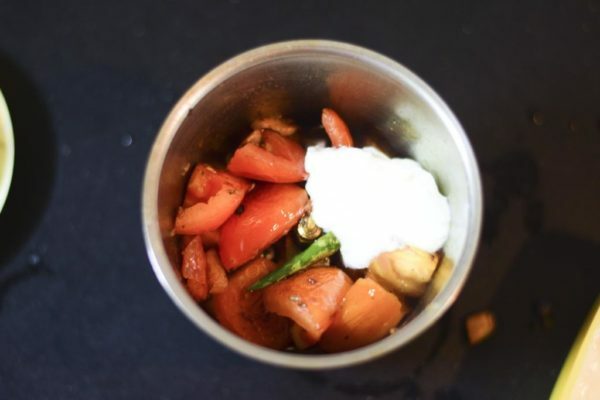 Now, pour this sauce over onto the served gnocchi. 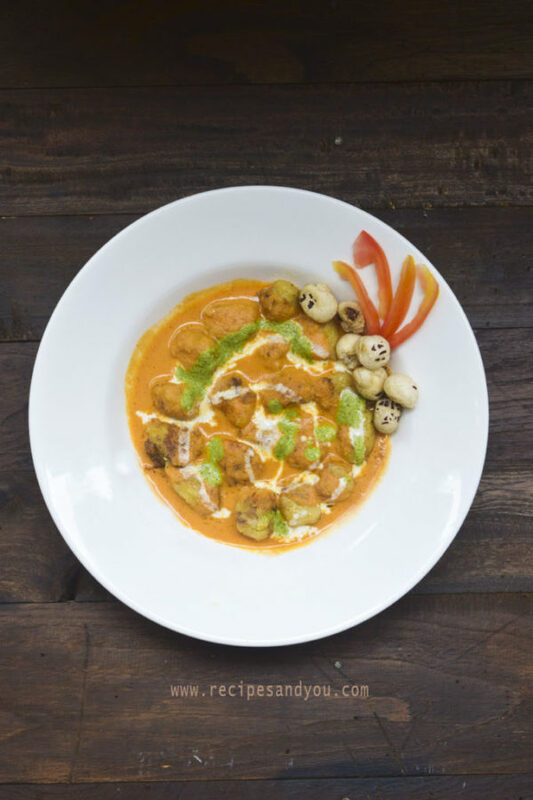 Garnish with fasting mint and coriander chutney and cream. Thanks ritu. Am glad you like.I hope you make it soon. Do share it with us on my facebook page.